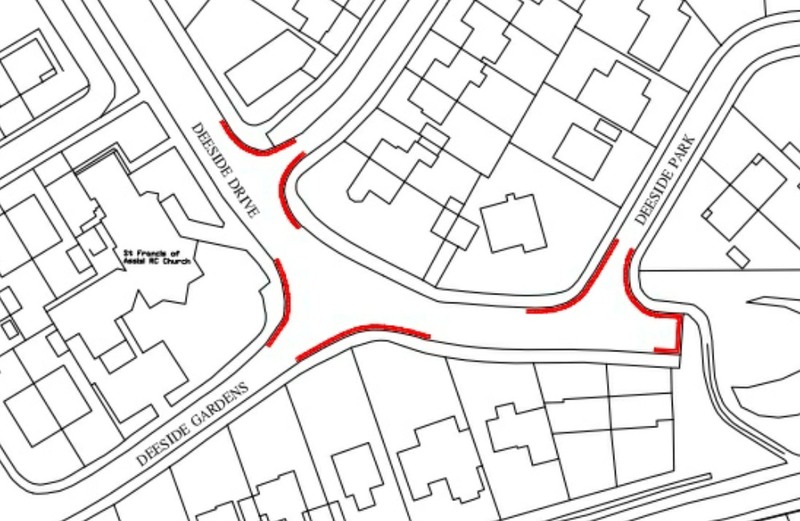 The council is set to place double yellow lines at the junctions of Deeside Drive with Deeside Park and Deeside Avenue and at its lower junction with Deeside Gardens. This move follows complaints from residents and others about obstructive and thoughtless parking at junctions on Deeside Drive. There were no objections made to these proposals. The double yellow lines are due to be put in place by the end of the summer. Delighted to hear the council will finally take some action. However, hard to believe they have failed to address the main issue – inconsiderate and dangerous parking close to and across residents driveways. This causes residents to drive/reverse into and out of driveways completely blind to traffic, including cyclists, resulting in very real risk to life and property and a lot of frustration. Surely it would be simpler, and certainly it would be safer for everyone, if they simply continued the lines up to the driveways. Please would you encourage the council to reconsider. Inconsiderate parking on either side of the upper junction of Deeside Gardens in effect makes it a blind junction with regard to cars and children. Ian that is a good start. Now join up these mini lengths of double yellow and extend to the full length of Deeside Park with double yellow and our access to the Park and ability to get into our driveways will be sorted.